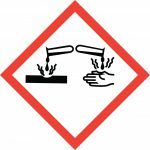 What is Globally Harmonized System (GHS) for Hazard Communication (HazCom)? 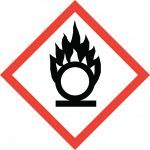 The Globally Harmonized System (GHS) is an international approach to hazard communication, providing agreed criteria for classification of chemical hazards, and a standardized approach to label elements and safety data sheets. The GHS was negotiated in a multi-year process by hazard communication experts from many different countries, international organizations, and stakeholder groups. It is based on major existing systems around the world, including OSHA’s Hazard Communication Standard and the chemical classification and labeling systems of other US agencies. The result of this negotiation process is the United Nations’ document entitled “Globally Harmonized System of Classification and Labeling of Chemicals,” commonly referred to as The Purple Book. This document provides harmonized classification criteria for health, physical, and environmental hazards of chemicals. It also includes standardized label elements that are assigned to these hazard classes and categories, and provide the appropriate signal words, pictograms, and hazard and precautionary statements to convey the hazards to users. A standardized order of information for safety data sheets is also provided. What are the Major Changes to the Hazard Communication Standard (HCS) in USA? 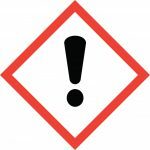 OSHA revised its Hazard Communication Standard (HCS) to align with the United Nations’ Globally Harmonized System of Classification and Labeling of Chemicals (GHS) and published it in the Federal Register in March 2012 (77 FR 17574). Two significant changes contained in the revised standard require the use of new labeling elements and a standardized format for Safety Data Sheets (SDSs), formerly known as, Material Safety Data Sheets (MSDSs). 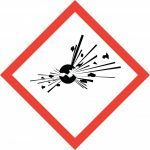 The new label elements and SDS requirements will improve worker understanding of the hazards associated with the chemicals in their workplace. In order to ensure chemical safety in the workplace, information about the identities and hazards of the chemicals must be available and understandable to workers. Information and training: Employers are required to train workers on the new labels elements and safety data sheets format to facilitate recognition and understanding. 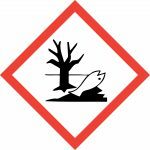 What pictograms are required in the revised Hazard Communication Standard? A. There are nine pictograms under the GHS to convey the health, physical and environmental hazards. 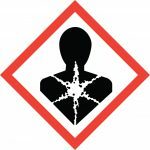 The final Hazard Communication Standard (HCS) requires eight of these pictograms, the exception being the environmental pictogram, as environmental hazards are not within OSHA’s jurisdiction. The hazard pictograms and their corresponding hazards are shown below. What is Employer’s Responsibility under GHS to Meet the Compliance Requirements? Educate and train workers on the hazards and safe use of products. Ensure that hazardous materials are properly labelled. Prepare workplace labels and SDSs as necessary. Provide access for workers to up-to-date SDSs. Ongoing audit for policy implementation, process and procedures for GHS. This course is suitable for workers in organizations of all sizes, in industries and occupations where hazardous products are found. Employees working in healthcare, pharma, petrochemicals, oil and gas, construction, manufacturing and other specialty industries should take this training. Reduce work place accidents due to hazardous products. Why are you required to take this training? 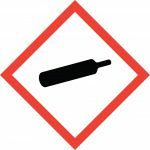 Per the final rule issued March 26, 2012, the Department of Labor has adopted the United Nations’ Globally Harmonized System (GHS) of Classification and Labeling of Chemicals. This change ensures OHSA’s alignment with internationally-developed guidelines for the categorization and labeling of hazardous substances. June 1, 206 Deadline to update alternative workplace labeling and hazard communication programs, and provide any additional employee training. 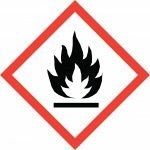 Employers are required to educate workers on the new Globally Harmonized System (GHS) labeling system for hazardous chemicals as well as how to read and interpret a safety data sheet (SDS). 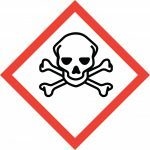 All workers must be trained on the chemical hazards they may encounter BEFORE they are exposed to, use and/or work with the hazardous chemical(s). There is no grace period for this hazard communication training. ALL workers are required to be trained on the new label elements and SDS format as part of their employment on an annual basis thereafter. Online course login expires in: 2 months from receiving the login details. You will not have access to online content after you complete the course. Students can buy CE credits certificate for this course at the time of registration. You will receive one CE credit for this course through Approved Provider of California Board of Registered Nursing after completing the course. Please contact us for more information at Bob@supremusgroup.com or call (515) 865-4591.